Tom continues to write reviews of other subscription boxes (especially food, coffee, and wine) and you can find all of his subscription box reviews here. While we have continued to put up a few reviews on this site, over the next few months we’ll be moving them over to the main site and eventually redirecting this site and the individual reviews once we move them. I’ll be making a men’s homepage so you can access everything that you’d be interested in all on one page (though right now, the page with all of Tom’s reviews is pretty close!). As we’ve always mainly posted reviews of man-friendly boxes like geek & gamer & nerd subscription boxes over at my site, we think you’ll find it more useful to have everything in one place. The men’s subscription box list has the added benefit of being much more up to date than the one here is. The coupons are very much more up to date. Thanks, and if you have any specific requests, we are always open to them (but especially right now before we get to work building our new features!). For February Bespoke Post is offering two new boxes: Knotted & Honed. You can save 20% on your first box with coupon code JOIN20. Don’t forget that items from the shop ship free with your box. You can use the 20% off code on either of the February boxes or any of the currently available Bespoke Post selections. Visit Bespoke Post to subscribe or find out more. Use coupon code JOIN20 to save 20% on your first box! Exp 3/31. Svbscription Personal Shopper Box Deal – One Box + $100 Credit for $50. Check out this Gilt City Svbscription Deal ! Use coupon code WELCOME20 to save 20% off this deal (if you have a Gilt City account you have to use a different email to use that coupon). 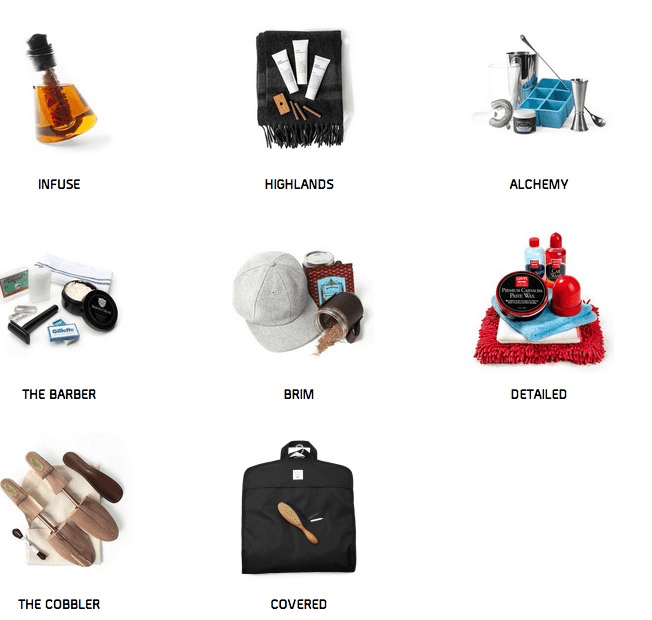 Svbscription is a personal shopping service and you can get just about (small) items for you or your home in the box. Your svbscription is all about you. Before your first delivery, you’ll answer a questionnaire about your taste and style to help svbscription’s team find products you’ll love. Every parcel contains a selection of clothing, accessories and homewares based on your taste. You only pay for the items that you keep. With free shipping both ways (in the United States), returns are hassle free. svbscription partners with over 30 brands from across the United States and Europe. Past boxes have included coveted items from brands like Malin & Goetz, steven alan, WANT Les Essentiels De La Vie and more. Gilt City is also offering 2 boxes to Adore Me a lingerie subscription, for $60. If you are already getting the svbscription deal I don’t think this is a great deal – you can get your first set for $25 by signing up with our referral link. If you use the coupon it will be better, but Adore Me isn’t particularly high end, although it’s nice. Visit RueLaLa to pick this up – just search for Mantry on the home page. RueLaLa is a women’s focused shopping site but often offers great subscription box deals. Mantry is the Modern man’s pantry for food items. You’ll receive 5-6 full-size super premium foods from around America in a premium wooden crate. Read all my Mantry Reviews or see all the Mantry Reviews on my wife’s blog. Gilt City is offering one Trendy Butler delivery for $39 (normally $55!). You can check out Trendy Butler here. This is a brand new subscription so I’ll pick one up to try out. Be sure to always read the terms & conditions on any voucher deal and use your voucher before it expires. Use coupon code WELCOME20 to save an extra 20% off your first Gilt City order – if you’re already a member you might need a new account to use this coupon. Up your style with Trendy Butler, a subscription service that delivers well-curated boxes of clothing directly to your door. After you create a style profile, a personal shopper will handpick items for your box, paying close attention to your size, preferences and overall vibe. Trendy Butler has access to an array of clothing, from well-known brands to the hottest new designers. The company makes returns and exchanges easy—if you don’t like something, you can send it back for free. Also up on Gilt City – some healthy food choices: Plated (3 meals for $24), Aloha (vegan protein and superfood blends), and Urthbox (healthy snack box). Bespoke Post is offering a team colors Koozie with orders over $45 in the Bespoke Post Shop. Just order using the appropriate coupon code of your favorite playoff team. Like use coupon code PATRIOTS. Remember use promo code RESCUE to save 30% off your first Bespoke Post box! You can see the details on every box before opting it – check the Bespoke Post site for tthem. 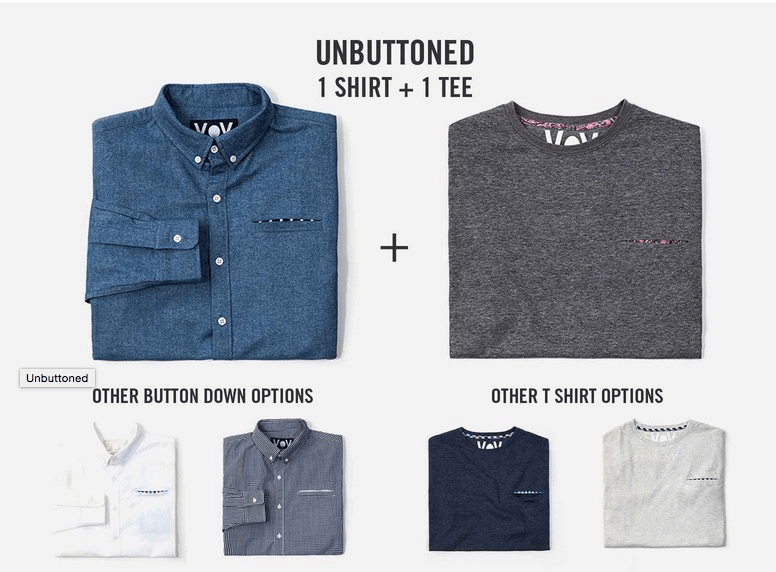 For January Stock your wardrobe with some secret weapons with Bespoke Post – 3 button down selections and 3 t-shirt selections from Voy Voy, an up-and-coming New York shirtmarker making top notch, slightly tweaked takes on wardrobe classics. You should be still able to use coupon code RESCUE to save 30% on your first box – additional selections below. Click here to visit Bespoke Post to find out more. There are 3 Bespoke Post Deals for Cyber Monday. One for subscribing to your first box, one for adding products to your own order, and one for gifting a subscription. Likewise there are 3 new Bespoke Post boxes available to order. Take 30% off your first Bespoke Post with coupon code CYBER. Bespoke Post will deduct $10 off your monthly club shipment order for every additional $50 worth of products you add to your box. You can find the complete details and terms and conditions here. 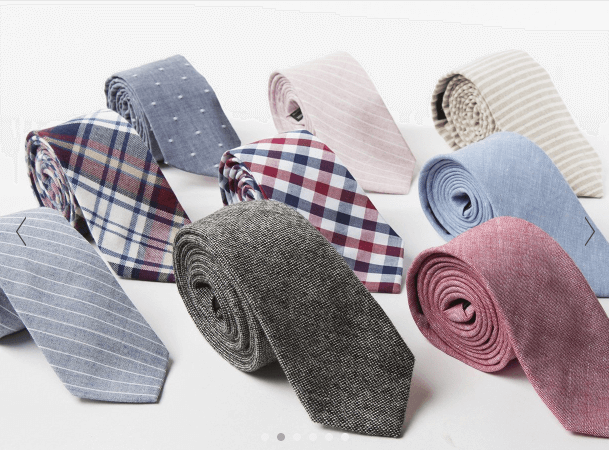 Visit Bespoke Post take advantage of these offers – they end tonight. Below are the three new boxes available to order. We selected the Infuse box. Bring new flavors to old favorites with this elegant setup to infuse your beverages with a variety of flavors. 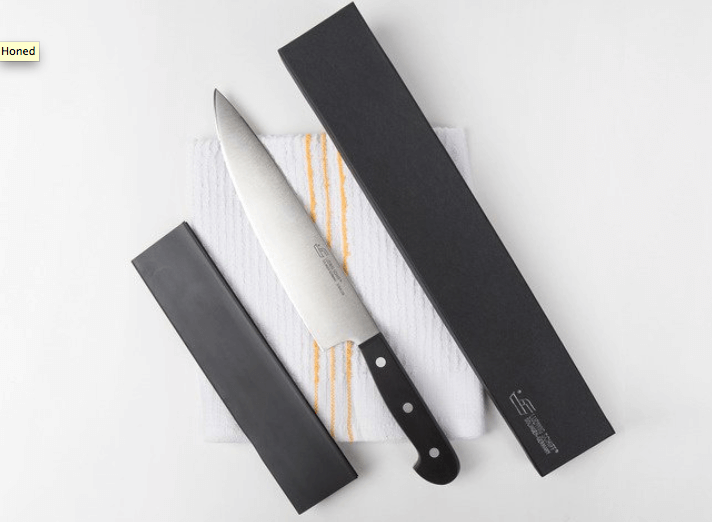 You’ll receive the Decanter, the Infusing Rod, and a booklet of infusion recipes from Death & Co — the best cocktail spot in New York. Dust off the history books and channel old Winston’s spirit with a good smoke. You’ll be an aficionado in no time. 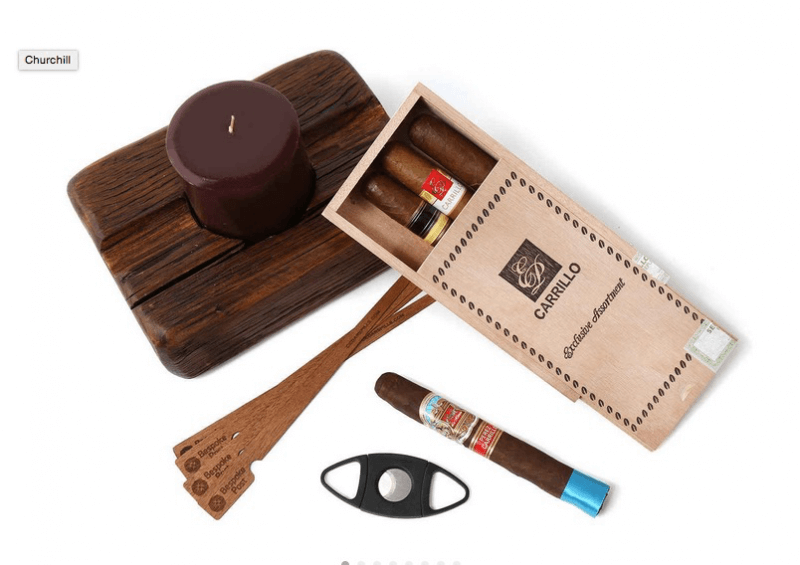 You’ll receive a Custom Cigar Pack, Reclaimed Wood Ashtray / Candleholder, The Den Candle, Cedar Spills, and a Cigar Cutter. Stock your home bar with pro-level cocktail wares. 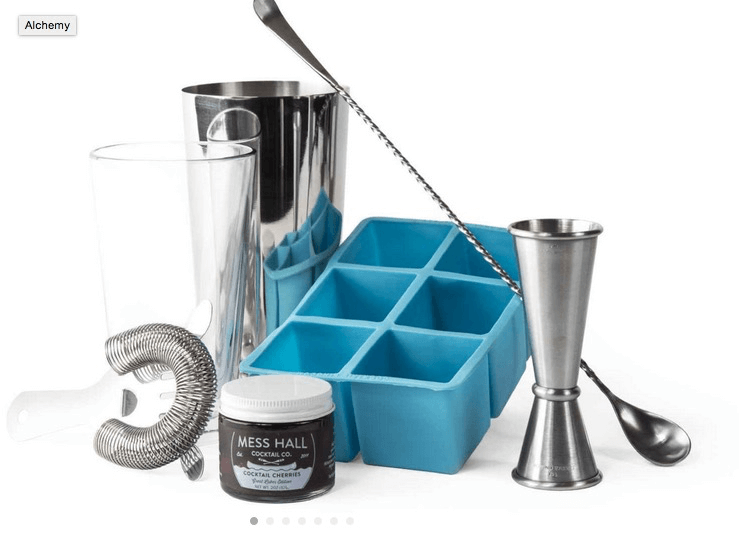 You’ll receive the Boston Shaker, Hoffman Barspoon, Japanese-style Jigger, 1oz / 2oz. Hawthorne Strainer. 2″ Square Ice Cube Tray. and Bourbon-Infused Maraschino Cherries, 2 oz, Mess Hall Cocktail Co.
You’ll want to – after selecting your December Bespoke Post Box – visit the Bespoke Post Shop and add products to your Club Shipment if you’d like to take advantage of the $10 off $50 of Bespoke Post Shop products. 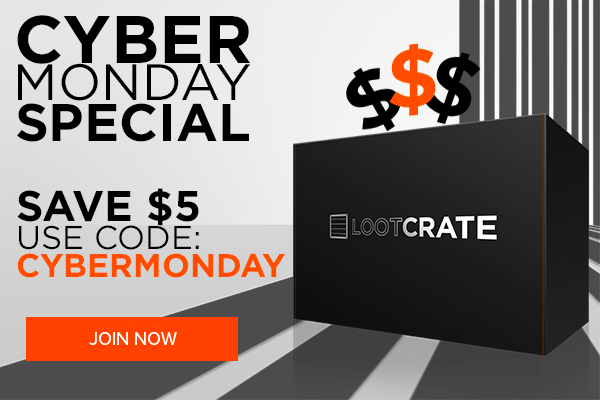 Today ONLY save $5 on Loot Crate with promo code CYBERMONDAY. Click here to visit Loot Crate and use the coupon! Loot Crate is a subscription box that is for geeks and gamers. If you want to be surprised, do NOT look at these spoilers for the December Loot Crate! Check out more deals and coupons for subscription boxes for Cyber Monday! StackSocial has a 3-month Loot Crate subscription for $47.99. (Basically the same amount off except for 3 months) Use code HAPPYCM10 to save 10%! – total $43.19!!! This is cheaper than a 3 month box plan from Loot Crate WITH the coupon code. The Mantry Cyber Monday Sale is perfect for the men on your list who like to eat. Activate the Mantry Cyber Monday Coupon here and get a free bonus crate. One day only! Purchase a one month, three month, or six month gift subscription today, Monday December 1, and receive a bonus Mantry crate! Bonus crate and first crate of your gift subscription will ship on Tuesday, but may arrive in separate packages. Mantry: The Modern man’s pantry for food items. Receive 5-6 full-size super premium foods from around America. Cost: $75/month. See all my Mantry Reviews! Read my husband’s Mantry Reviews. Check out more Cyber Monday Subscription Box Coupons and Sales.